Now you don't even need to spend a feat. Re: Unearthed Arcana: Leadership returns with a kick to the sides. hmm ... more than a few exploits available. Friends cantrip means you're Friends right? CR 1s and then they gain one of the 3 classes. CR 1s are < the CR 2s that Moon Druid 2 has been dominating with, so this is OK.
Basically way more race choices, and potential combos. Warrior is preferable to Fighter at any number of levels. Second Wind 1 level early, and Danger Sense > Str Save prof.
Battle Readiness > Barb 7. Helpful is frontloaded Mastermind 3. Jack makes it > at skills. 5 could will get whining about > Rogues Sneak. Evasion without sneak+, is only where it starts to fall behind. Inspiring Help makes Lore 5s cry. Capstone is quite tasty, make Wiz Div 2s cry. Spellcaster again needs line iteming comparisons. aren't necessarily weaker at all. The 6 10 and 14 if in regular classes, would get lots of whining. And probably easier play style for less experienced players. I'd imagine this is silly with chain Warlocks. 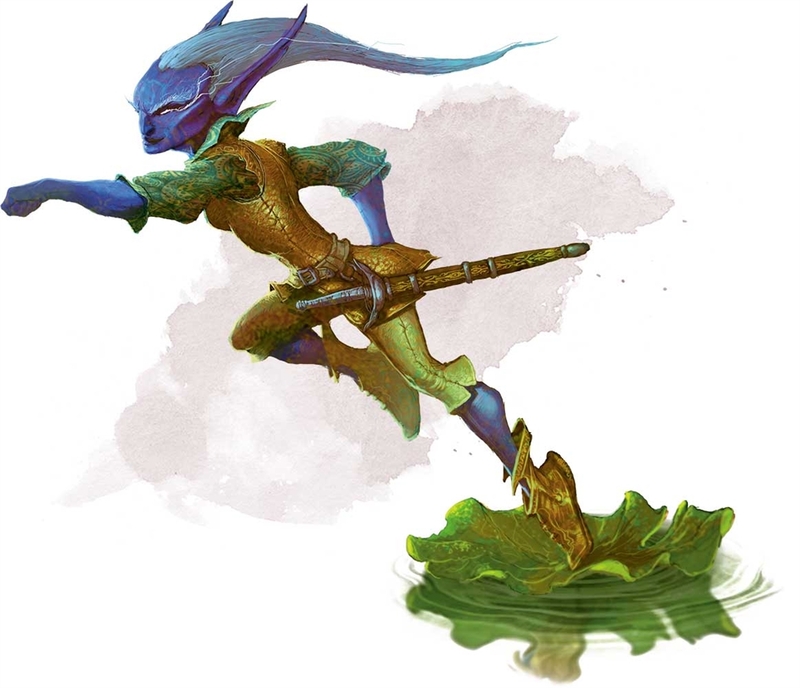 It's a lesser Champion that trades Fighting Styles and Action Surge, and other related features from the worst Fighter choice, for circumstantial save boost and Advantage with Initiative. Meh. I like how the spellcaster gets full 9th level slots as a Warlock through. Thats a thing right? Oops, crossfired Action Surge with Second Wind. Yeah. So ... Warrior is preferable to Fighter at 1 + 1/2 levels (wink). Warlock is definitely the most changed of the casters. But massive reduction of their Short Rest advantages. but Volo's does have the Gazer box CL 3 thingy. Ranger Beast Master got lots of negative attention from giantitp. As in pick another Ranger, and get a ++ BM Pet via the sidekick. Goblin Revised Ranger Gloomstalker dip War Mage 2 with this alt BM. Picking the 3rd level in a Class instead of a CR1 Creature that can only advance using Sidekick Classes really does sound exactly like something GitP's community would do. That's missing six CR1s, and several lower, out of Mordenkainen's (and probably every other rulebook) according to the already provided CR lists by the authors. A good one seems to be the Stone Cursed on page 240. AC17 with 19hp, obtains Advantage on all AoOs and +1d10 dmg when it has an Advantage. Best part is Petrifying Claws which prompts a Save vs Restrained followed by Save vs (effectively) death. Skills: Athletics, Perception, & Survival. Skills: Athletics +9, Perception +3, Survival +3. 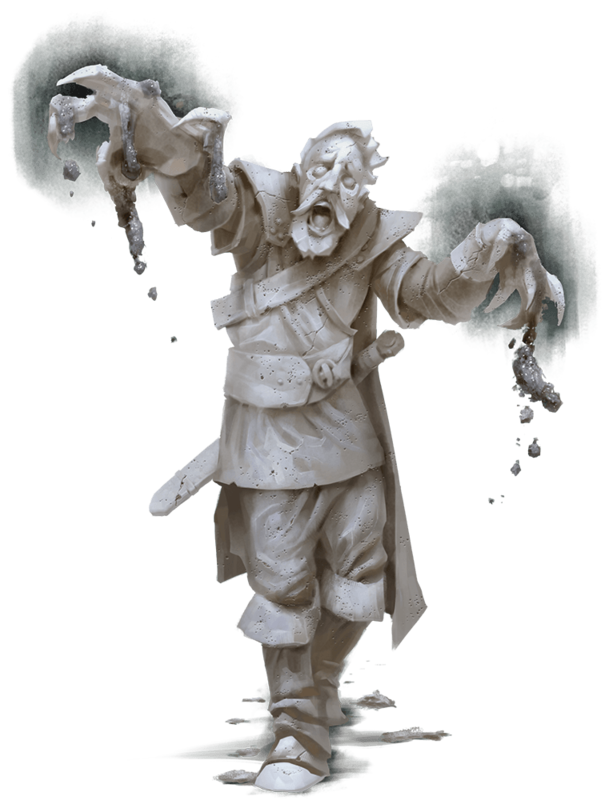 Condition Immunities: charmed, exhaustion, frightened, petrified, poisoned. Dave makes three melee attacks. is indistinguishable from a normal statue. against effects that it can see. It has an advantage on initiative rolls. It gains +1 to it's AC. gray sludge emerge from a stone cursed's fingers. attack against the attacking creature. Skills: Arcana, History, Investigation, Nature, Religion. Skills: Acrobatics +10, Sleight of Hand +12, Stealth +12, Perception +7, Arcana +3, History +3, Investigation +3, Nature +3, Religion +3. Senses: darkvision 60ft, passive perception 17. Karen makes three dagger attacks. one target. Hit: 8 (1d4 + 6) piercing damage. unless the quickling is incapacitated or restrained. the saving throw, and only half damage if it fails. Karen can take use the help action as a bonus action. checks that do not already include it. Karen has chosen to increase her Int by +2. comprehend it. Never truly at rest, a "stationary"
it can't wait to be off again. Skills: Deception, Medicine, Performance, Persuasion, Survival. Skills: Deception +2, Medicine +2, Performance +2, Perception +2, Persuasion +2, Survival +2. Senses: truesight 120ft, passive perception 12.
one target. Hit: 3 (1d4 + 1) bludgeoning damage. 80/320 ft, Hit: 5 (1d6 + 2) piercing damage. manner contrary to its nature or its instructions. and anything else it was carrying. convince test subjects of bad ideas. take use the help action as a bonus action. you to disregard its advice. 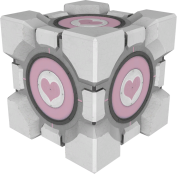 Cube, there is no "I," but only "we" or "us." "It's easy to forget that the Beast Master can get something like a sidekick in addition to a beast companion. The new option is additive; it doesn't replace the beast companion. And a DM might allow the beast companion to take the warrior class."